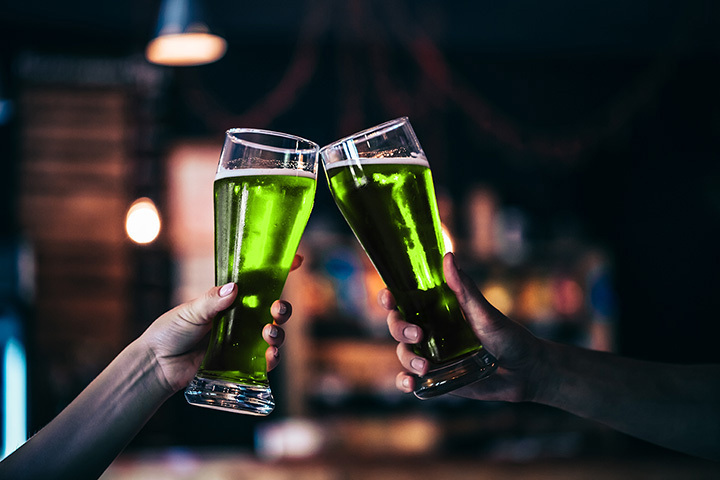 Whether you want to run like a leprechaun protecting that pot of gold, enjoy a taste of Irish culture or just sample some spirits, there are plenty of ways to celebrate St. Patrick’s Day throughout Nevada. Enjoy these 10 ways to honor St. Patrick and perhaps even enjoy some luck of the Irish along the way. Join one of the largest bar crawls in the world with over 20 of the top pubs, bars and taverns in Reno celebrating everything Irish. Being one of the most celebrated holidays, you can expect the bar crawl to go all out, having costume contests, giveaways, food and drink specials, and the famous "no last call" policy. Don't worry about cover fees, they are all taken care of! Join in this long standing tradition by sponsoring your own float for the parade or cheering from the sidelines. This wildly popular event truly celebrates Irish heritage right. Aside from the noteworthy parade, there is a festival, carnival, car show, and live entertainment. The Linq in Las Vegas turns it's slice of the strip into one big party with the block party of the year. The famous High Roller behind the complex is also lit up green and ready for party goers to enjoy a ride with an open bar. The block party includes traditional Irish music, dancing, and plenty of shenanigans. Virginia City turns on the Irish charm with everything festive and green for a fun tribute to the Rocky Mountain Oyster. The festivities include Irish music, plenty of food, and "the most outlandish St. Patrick’s Day atmosphere found west of the Mississippi". Every year, MGM's New York-New York throws this iconic Irish bash that lasts all weekend long. This well-rounded St. Patrick's Day celebration starts off with a parade at Bliss in The Park, then is kicked up a notch with live music, food and drink specials, and plenty of celebrating at New York-New York's Brooklyn Bridge and the Nine Fine Irishmen. You won't want to miss out on any of the excitement! Each year tens of thousands of people world wide celebrate St. Patrick's day by shaving their heads for a great cause. Money raised from this yearly event go to children's cancer nonprofits. There are usually multiple events scheduled in most larger cities in Nevada including both Reno and Las Vegas. McMullan's Irish Pub hosts a yearly weekend event that gives guests the chance to dive right into the best of Ireland while dining on authentic Irish dishes like Yorkshire Pud or Sunday Roast. The pub boasts a large collection of Irish beers, whiskey and other spirits as well. This is a light hearted, beginners 5K race with lots of costumes and fun for the whole family. It is an introduction to road racing and encourages young runners through this fun morning run. Reno's favorite true Irish pub, Ceol's is no stranger to hosting popular live music acts. This St. Paddy's day you can expect nothing short of a green-clad extravaganza. Head over to Ceol's Irish Pub to jam out to a live band, traditional food, plenty of whiskey, and the "BEST Guinness purs in town". This run is a stunning road race to celebrate the best of everything green with some amazing scenery. The route features the Historic Railroad Trail in Boulder City, complete with amazing views of Lake Mead and Scottish bagpipers giving you a the encouragement you need.